This is the reproduction version of the 95th Fighter Interceptor Squadron that now flies the F-22 RAPTOR at Tyndall AFB, FL. Their mascot, Mr. Bones, lives in current bomber and fighter squadrons around the USAF. This is a "historical" patch for the 149FS that is now part of the 192FW flying the F-22 Raptor out of Langley AFB, VA. 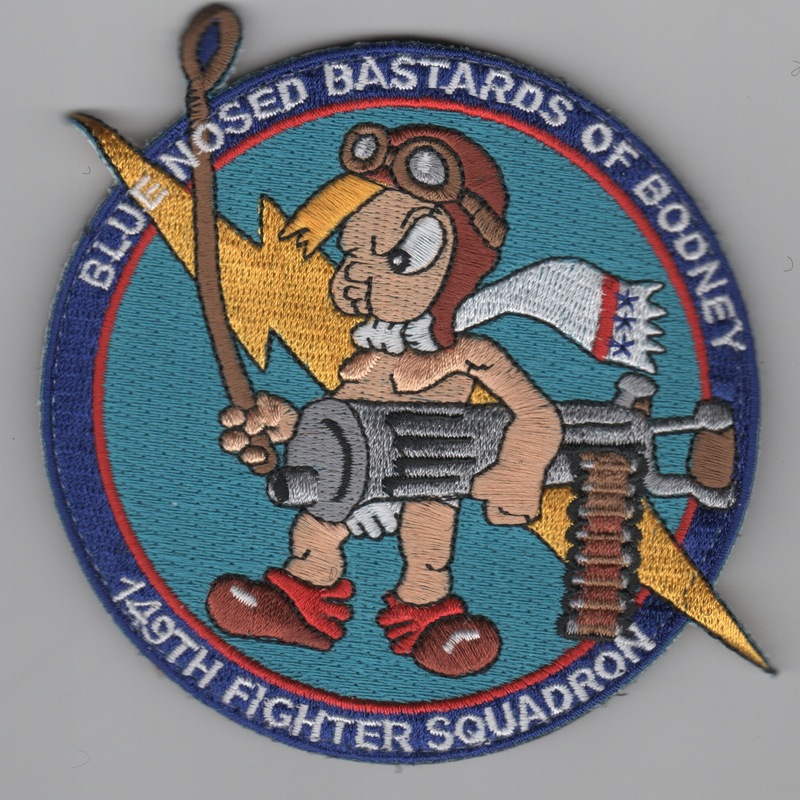 It says "Blue Nosed Bastards of Bodney" across the top and refers to the origins of the USAF during WWII. This patch comes with velcro attached.....pretty damn cool patch!!! 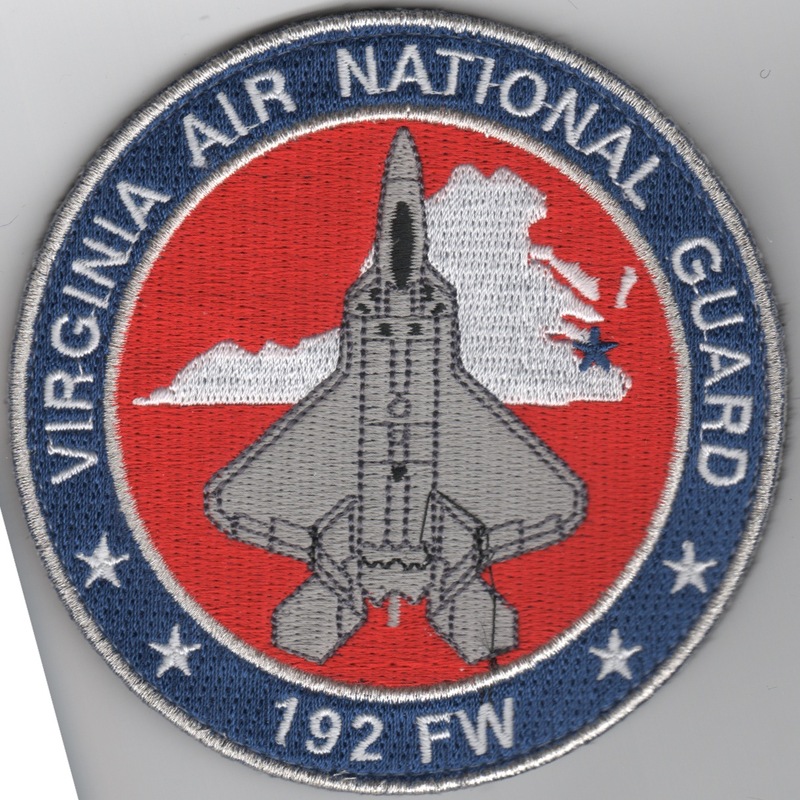 This is the "Wing Patch" for the 192FW that fly the F-22 Raptor for the Virgina ANG out of Langley AFB, VA. This patch comes with velcro attached. (Korean): The 199FS is a unit of the 154th Wing. They operate the F-22A Raptor, the Air Force's 5th generation fighter aircraft with a select component of active duty personnel acting in the cadre role. Its combination of stealth, supercruise, maneuverability and integrated avionics, coupled with improved supportability, represents an exponential leap in warfighting capabilities. The Raptor performs both air-to-air and air-to-ground missions allowing full realization of operational concepts vital to the 21st- century Air Force. 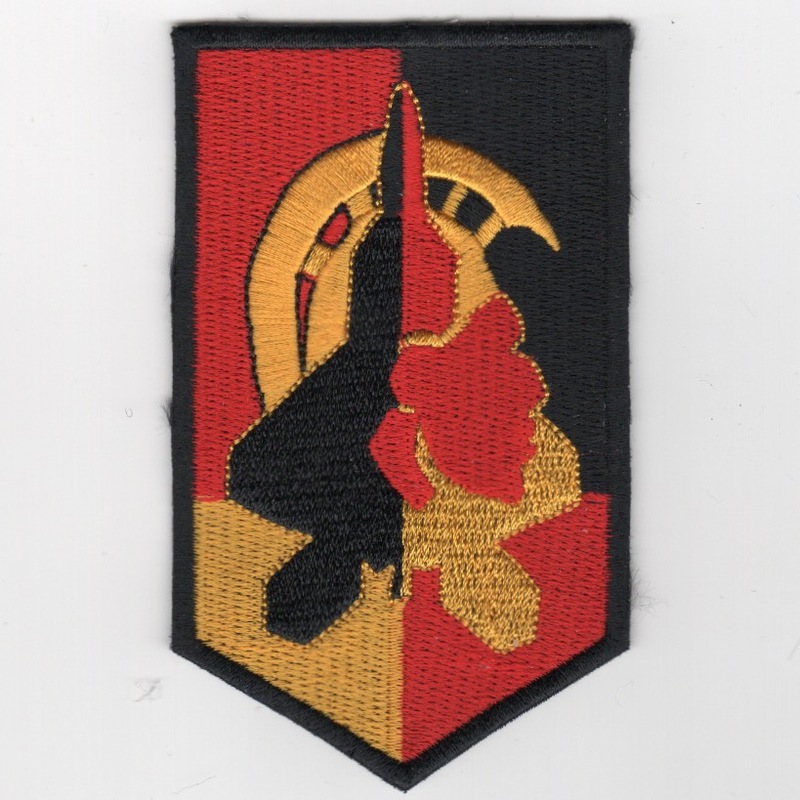 This is the standard squadron patch for the 199FS, and was found in a Korean embroidery shop in limited quantities, has that "theater-made" feel about it, and does not come with velcro attached. (Korean): The 199FS is a unit of the 154th Wing. They operate the F-22A Raptor, the Air Force's 5th generation fighter aircraft with a select component of active duty personnel acting in the cadre role. Its combination of stealth, supercruise, maneuverability and integrated avionics, coupled with improved supportability, represents an exponential leap in warfighting capabilities. The Raptor performs both air-to-air and air-to-ground missions allowing full realization of operational concepts vital to the 21st- century Air Force. 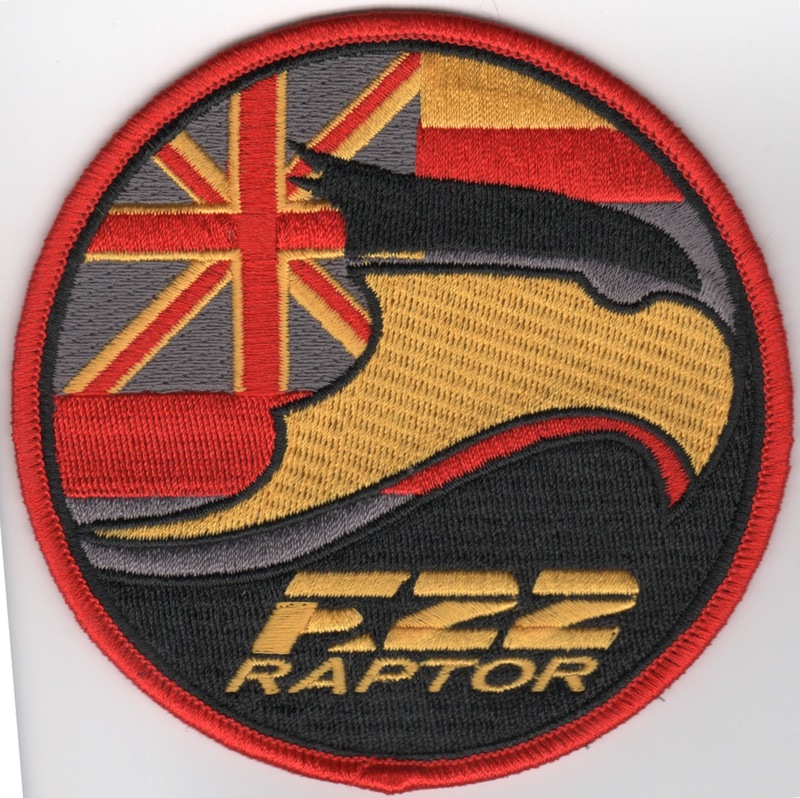 This is the squadron's patch that shows their current aircraft (F-22) on the left and the mascot "face" on the right. It was found in a Korean embroidery shop in limited quantities, has that "theater- made" feel about it, and does not come with velcro attached. This is a detachment patch created for the F-22 Raptor for their latest exercise at Hickam AFB, HI. It shows different flags from countries participating in the "red/yellow" scheme. This patch does not have velcro attached. 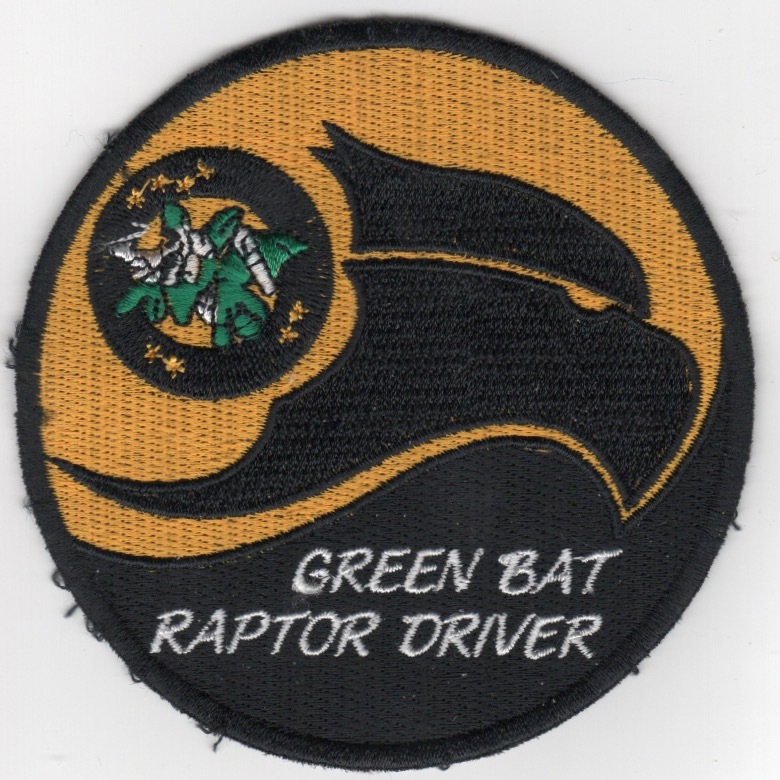 This is a detachment patch created for the 19FS/199FS who fly the F-22 Raptor for their latest exercise at Guam. 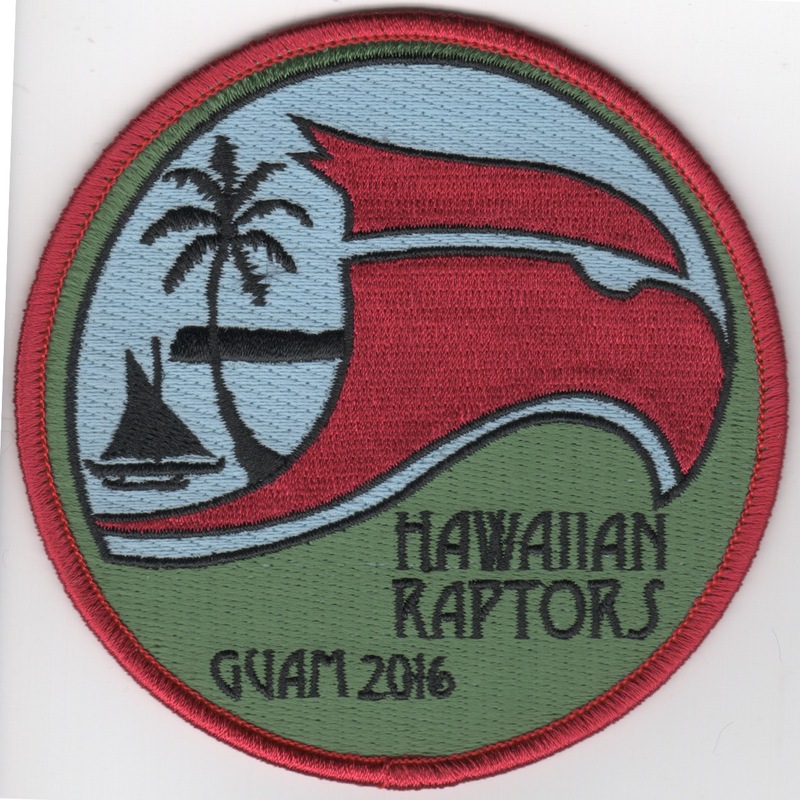 It says "Hawaiian Raptors" along the bottom and has the "red Raptor beak". This patch does not have velcro attached. 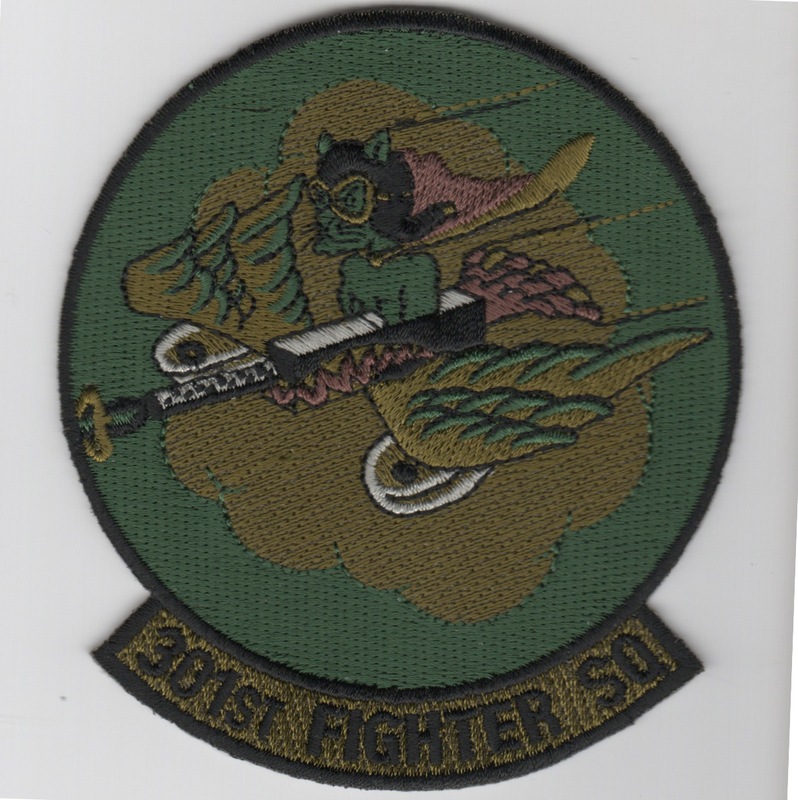 This is the subdued version of the squadron patch for the 301st Fighter Squadron, a USAF Reserve squadron, assigned to the 325th Operations Group, stationed at Tyndall Air Force Base, Florida. It is a associate unit of the active duty 325th Fighter Wing. They fly the F-22 Raptor. This patch does not come with velcro attached. 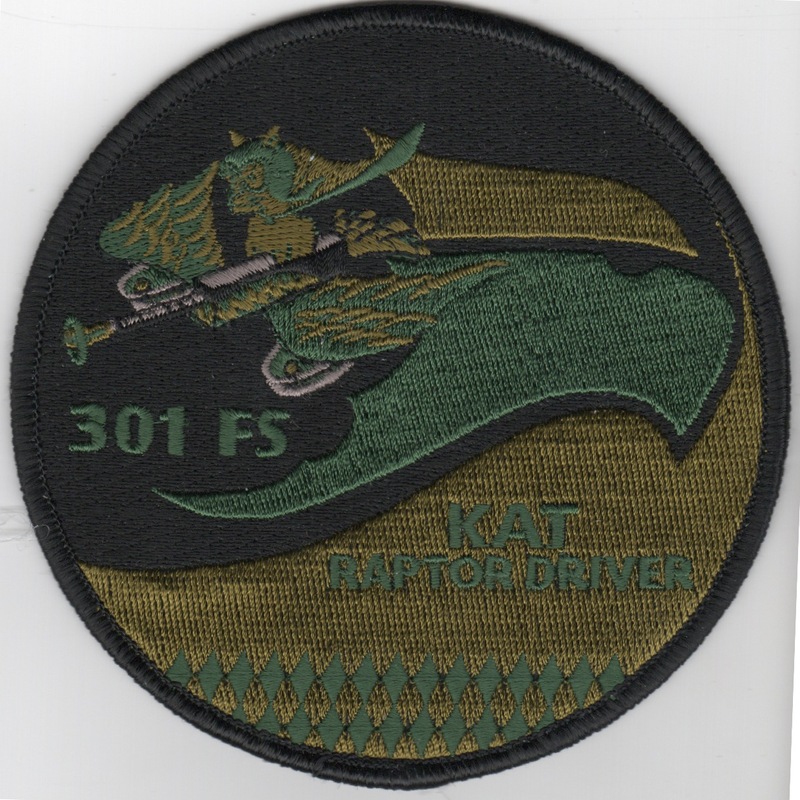 This is the subdued version of the "KAT RAPTOR DRIVER" patch created by the 301st Fighter Squadron, a United States Air Force Reserve squadron, assigned to the 325th Operations Group, stationed at Tyndall Air Force Base, Florida. It is a associate unit of the active duty 325th Fighter Wing. They fly the F-22 Raptor. This patch does not come with velcro attached. This deployed desert patch for the 412th out of Edwards AFB, CA. I think they fly F-22, but I'm not sure. It comes with velcro attached. The 422d Test and Evaluation Squadron (422 TES) is a USAF unit. It is assigned to the 53d Test and Evaluation Group, stationed at Nellis Air Force Base, NV. The squadron performs operational testing of all fighter aircraft and munitions entering and in operational use by ACC. I found this patch in a Korean embroidery shop, it has the "theater-made" feel with the 'cut' edge, and does not have velcro attached. Email me to order one of these, as they are very limited. 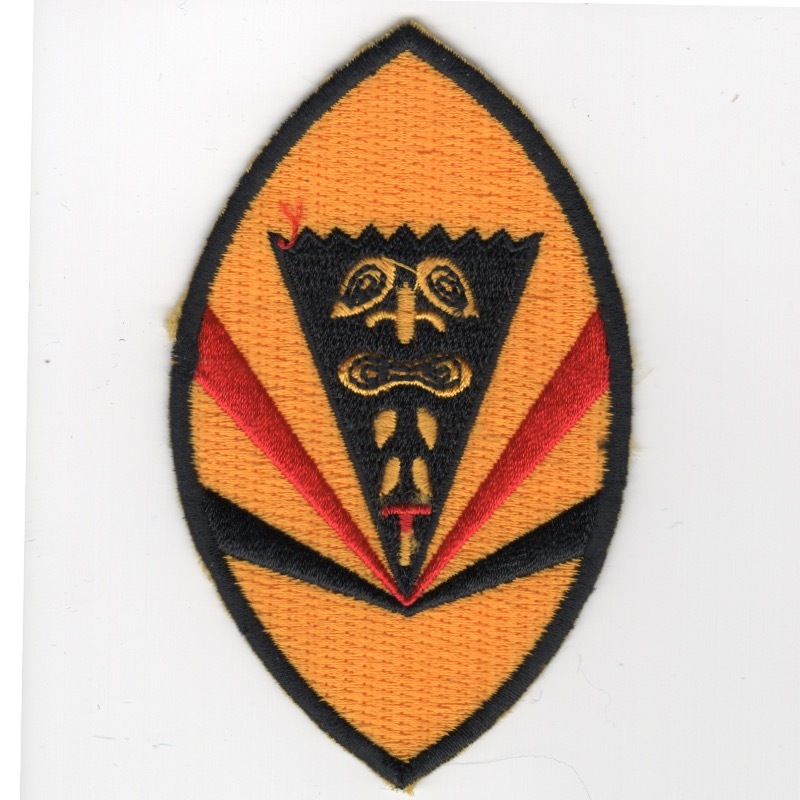 This is the squadron patch for the 487 Fighter Squadron that flew the P-47 and P-51s during World War II, but were decommissioned in April 1945. 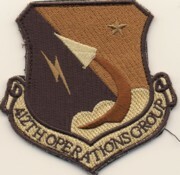 The 149FS created a "retro/historical" patch of this design (seen below). 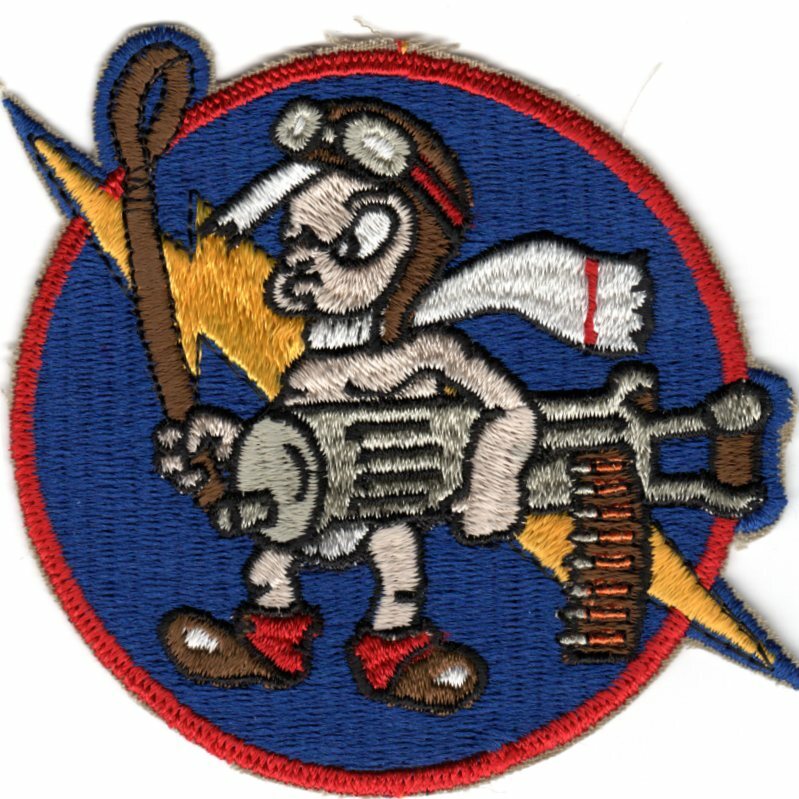 Pilot Karl Waldron provided the inspiration for the 487th's insignia and had the most "ACES" (14) and the most aerial victories (236.5) of any squadron in the 8AF.....lots of history with this unit. This patch has the "old" feel about it and does not have velcro attached. 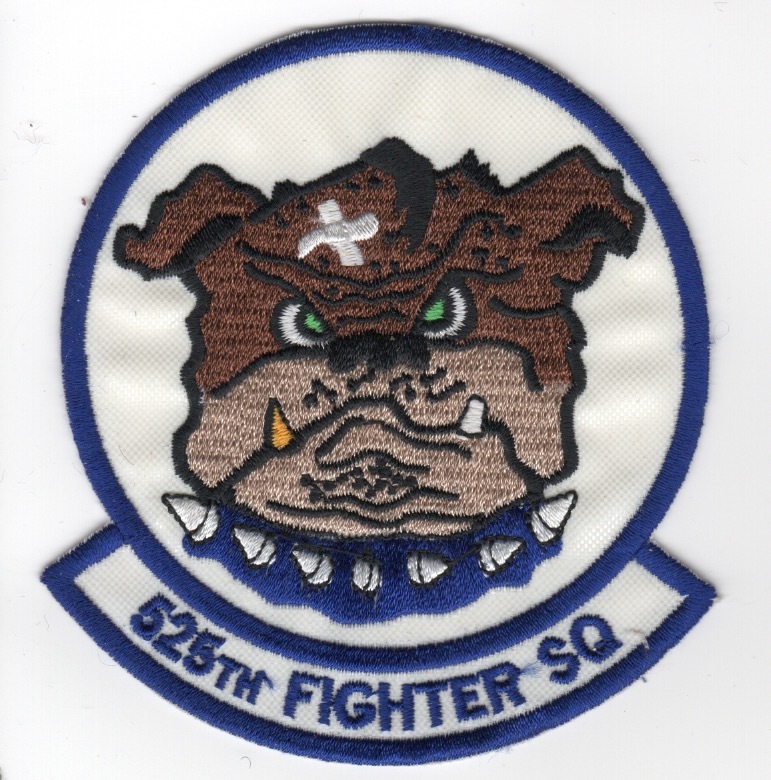 The 525FS is a USAF unit assigned to the 3d Operations Group and stationed at Elmendorf AFB, AK. The combat-ready fighter squadron is prepared for rapid worldwide deployment of a squadron of F-22A Raptor aircraft to accomplish precision engagement of surface targets using a wide variety of conventional air-to-surface munitions. The 525FS trains in the fighter missions of strategic attack, interdiction, offensive counterair (air-to-surface), suppression of enemy air defenses, as well as offensive and defensive counterair (air-to-air). 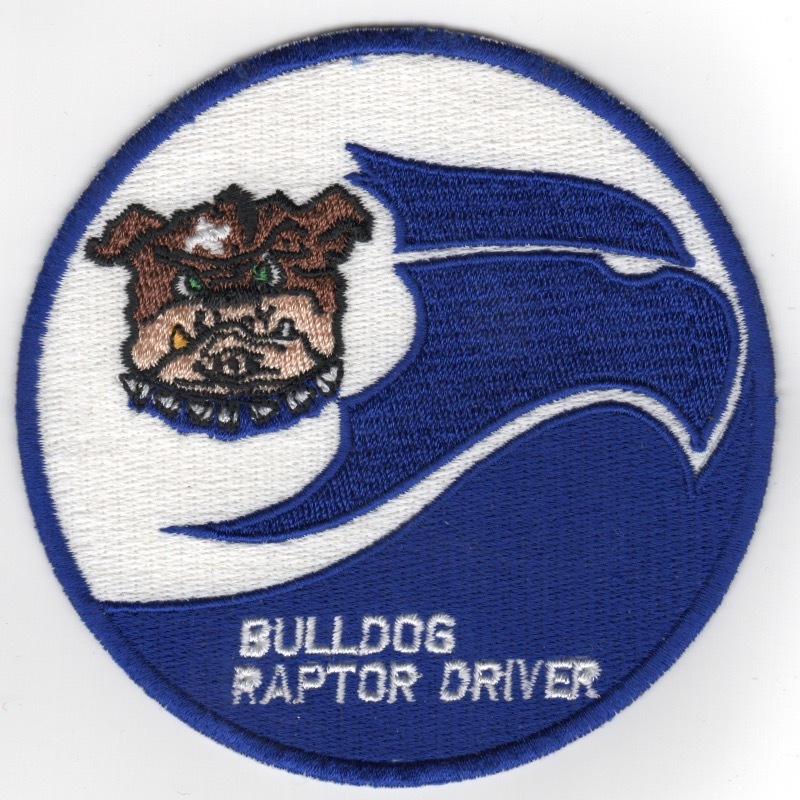 This is the "blue-white" version of the standard Raptor Patch and says "BULLDGO RAPTOR DRIVER". I found this patch in a Korean embroidery shop, it has the "theater-made" feel with the 'cut' edge, and does not have velcro attached. 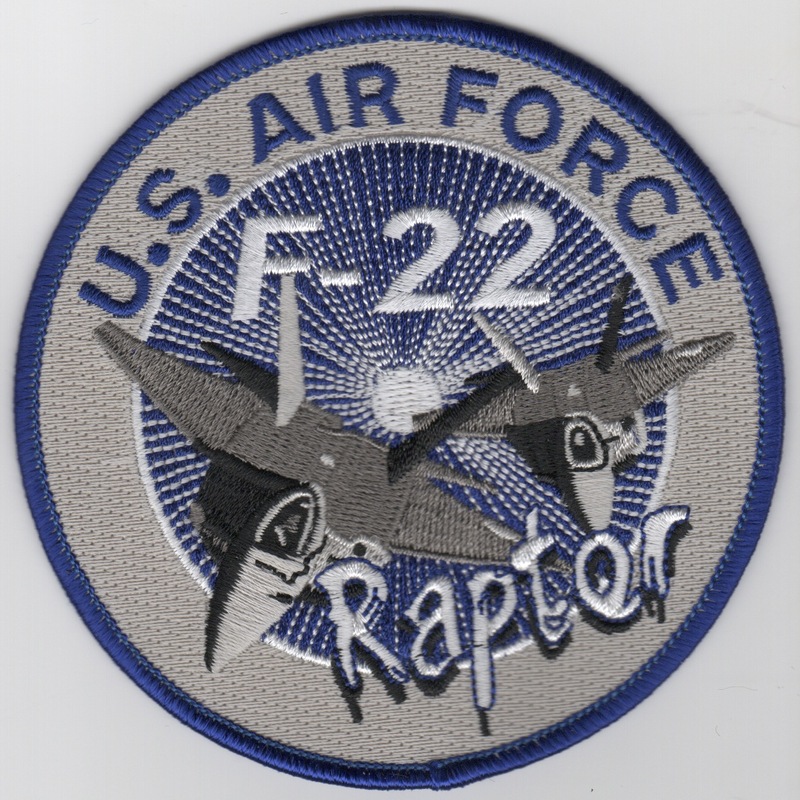 This is the blue/silver version of the aircraft patch created for the F/A-22 Raptor, flown out of Tyndall AFB, FL. This patch does NOT come with velcro attached. This is the desert version of the aircraft patch created for the F/A-22 Raptor, flown out of Tyndall AFB, FL.